Host of Bollywood Blvd on OMNI Television, Veronica Chail, was once again the beautiful muse representing Toronto’s award-winning fashion designer, Pat McDonagh, at the 5th annual Dare to Wear Love fashion gala in support of the Stephen Lewis Foundation held on March 28th, 2014 at the Ritz Carlton. The significance in this year’s gala is that on her 80th birthday, Pat McDonagh, now battles bone cancer. She had wanted to do her final heritage collection of 10 pieces for this past World MasterCard Fashion Week FW14 but due to her serious illness, the development of the collection was delayed and she was also not able to personally attend this year’s Dare to Wear Love. I asked Veronica Chail about how she felt about being dressed in Pat McDonagh’s “last hurrah” heritage collection at Dare to Wear Love 2014. In both the 2013 and 2014 I had the massive honour to walk in the Dare To Wear Love runway shows on behalf of designer Pat McDonagh – who calls me her muse – yes, I still pinch myself about that because I’m so inspired by Pat. I loved rocking the big hair and being draped in the fabulous jewels along with my dramatic makeup. My outfit had a super glam 1940s feel with a plunging neckline. Thank goodness for double sided tape and my incredible stylist Dale Hodder who made sure everything was in place. The dress also had Wonder Woman shoulders which to me represents Pat’s daring and fun attitude. Pat has a wild and beautiful spirit and a relentless passion for design and life. 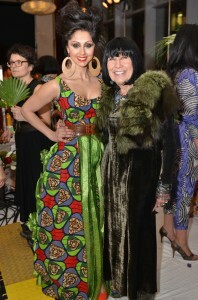 She is the real deal – a true artist who has contributed a lot to the Canadian fashion industry for decades. I have learned so much from her uncommon brilliance, beauty and boldness! I feel so lucky to wear her custom made pieces because her attention to detail is unparalleled and I’m so blessed to have her in my life. I cherish all my times with her at her boutique – chatting about life and indulging in pastries and tea. She is so special to me. Very proud of you, Veronica! It was an honour for me as well to be there for this important milestone. 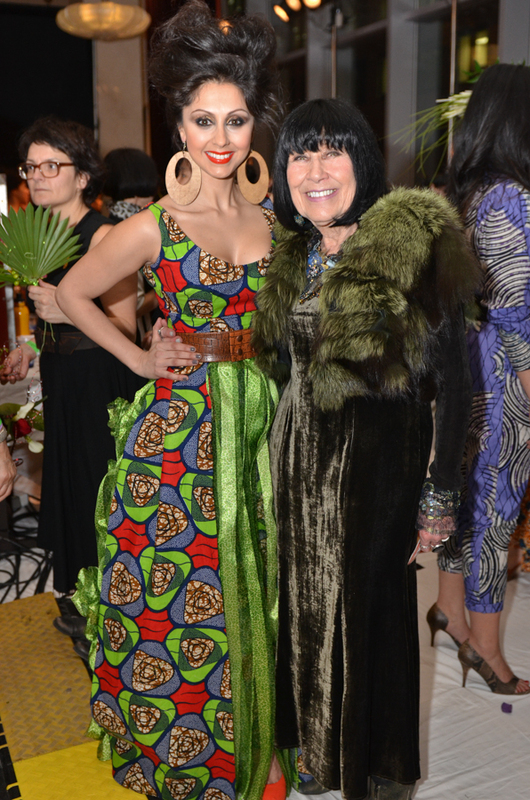 The gala’s theme this year was “Superheroes” and Veronica Chail certainly looks like a superwoman.